Bengal Greenfield Housing Development Co. Ltd. , the group in pursuit of distinction in every field of functional activities is already the pre-eminent organization in developing real estate activities in Gurgaon, New Town and other areas. Bengal Greenfield Housing Development Company Limited is a joint sector company, comprised of a group of young, dynamic, dedicated and highly skilled professionals desirous of rediscovering the art of living amidst nature and creating Home an Oasis that reflects your dream, ventures into new horizon with West Bengal Housing Board.This is the essence of the Greenfield Group endowed with vast experience in real estate activities and housing complex for EWS at New Town Kolkata. At Bengal Greenfield we have nurtured a dream that makes a difference in the perception of way of living. Be it at New Town, Durgapur, or Shantiniketan, we have a mission – we make not only homes but home plus. Our versatility in real estate matches with a diverse need of each and every client. Srijan Realty Pvt Ltd. is a fast-growing real estate company engaged in construction of several real estate projects to meet the growing demand of an emergent India. Srijan companies of a group of young, enthusiastic professional dedicated at providing superior quality facilities and ultimate comfort at your living space. It has always been an endeavour to put in the best of all worlds into your own. Within 5 years of formation, the company has acquired an enviable reputation in Eastern India for its expertise in building construction. Srijan’s landmark residential and commercial projects include Sherwood Estate opposite Ramakrishna Mission - Narendrapur, Classica on Sarat Bose Road, Crystal Spring at Behala, Heritage Srijan Tower at Kakurgachi, Parkside Residency near Moulali, Trinity Plaza on Park Circus Connector, Srijan Heritage Heights near Rashbehari More and Srijan Avinash at Lake Place,Tech Park in Sector V,Palazzo near Ballygunge,Srijan Heritage Enclave -Phase I in Rajarhat,Heritage Srijan Park- Phase in Park Street,Srijan Midlands on Jessore Road, Jubilee Park near Tollygunge Metro Station & P.S.Srijan Sonargaon near Garia. Our ongoing residential projects in and around Kolkata include Greenfield City near Behala Chowrasta , South Winds on Southern Bypass, PS Srijan Ozone on EM Bypass opposite Pepsico Bottling Factory, Rain Tree on Bagmari Road near Kakurgachi, Cloud 9 on Remount Road off Alipore and The Address near PC Chandra Garden, opposite Science City. Developing retail space with malls like Galaxy at Asansol , Woodsquare near Garia & Grand Mall Chennai, modern offices like PS Srijan Tech Park & PS Srijan Corpoarte Park at Sector V, Continental at Topsia & logistic parks like Srijan Industrial Logistic Park on NH6 near Saraswati bridge & many others. © Greenfield City 2019. All Rights Reserved. Greenfield City is your personal haven of verdure developed by Bengal Greenfield Housing Developement Company (BGHDCL) & Srijan Realty (SRPL) - one of the leading real estate developers in Eastern India presenting ready new flats in South Kolkata, specifically flats near Behala Chowrasta. We have an array of gorgeous ready 3BHK & 2BHK Flats near Behala Chowrasta Metro that you can look at to find your perfect abode away from the concrete jungle of a metropolis. Experience a lifestyle submerged in soothing hues of green with our sprawling open spaces, park and manicured lawns that make living blissful. Greenfield city is the perfectly balanced nest for you offering a large swimming pool with Jacuzzi and baby pool along with many other amenities like 2 full-fledged plush residential clubhouse, beauty parlour, ATM, grocery, medical store, shopping arcade, in-house AC bus facility & many more within the campus because you deserve more. Greenfield city is the ideal residential project for the seekers of affordable 2 BHK and 3 BHK flats in Behala offering high-end specifications. We also have premium flats on offer for those who love to indulge in luxury. Whatever your budget is, we are the one-stop solution for all your housing needs in the areas of South Kolkata. Greenfield City, a landmark construction, offers apartments in a flexible and moderately priced range starting from Rs. 33 lacks onwards. Book now and enjoy the pleasure of resplendent living amidst nature. As compared to other Kolkata real estate companies, we at Greenfield value the importance of appropriate and affordable pricing. All price offers from our side will be fair and justified so that none of our clients or customers are put off by them. 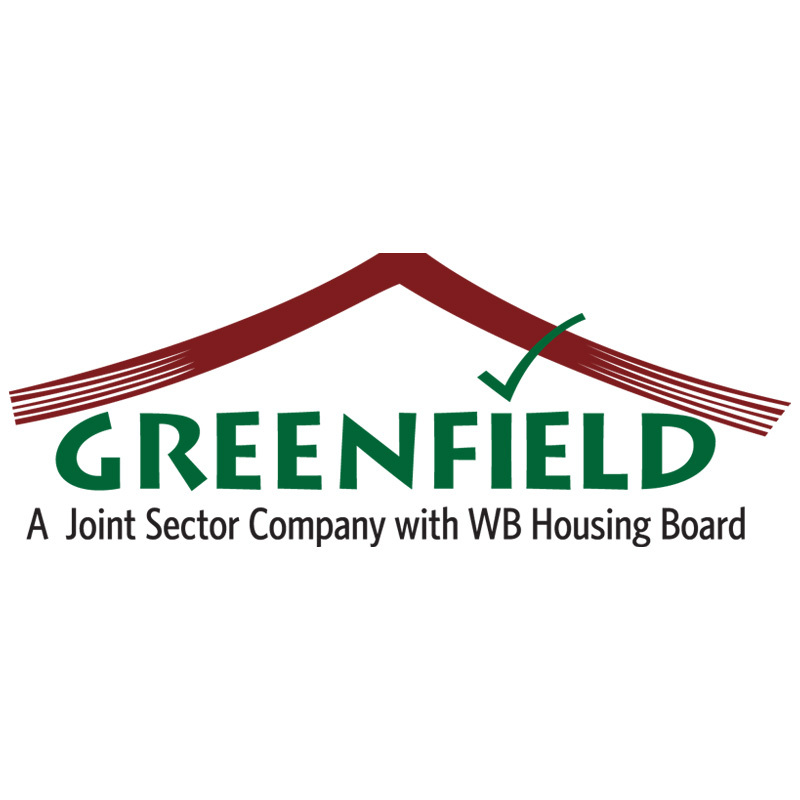 Greenfield City aspires to bring to its customers a range of housing options with state-of- the-art facilities. Purchasing flats in Kolkata will never be a problem as long as you rely on us for getting any housing solution that suits your needs and requirements.